1973, the midst of the Oil Crisis, and East Germany’s rail network was at the receiving end. Old Russian diesel locomotives were at the helm of many services as the prices for Black Gold were set on the incline, and it was soon decided that key routes were in urgent need of electrification. As wires were being strung above the rails, a new locomotive entered the design phase. The new locomotive was to be primarily for passenger work, and would be derived from the freight-hauling DR BR 250 (later known as the DB BR 155) – which itself was designed to be modified in such manners should it be required. The first change made was swapping the Co-Co wheel arrangement for a Bo-Bo type, much better suited for passenger work, and eventually a prototype BR 212 was produced. The BR 212, dubbed the ‘White Lady’, underwent trials in 1982, and it was discovered that it was capable of 160 km/h. 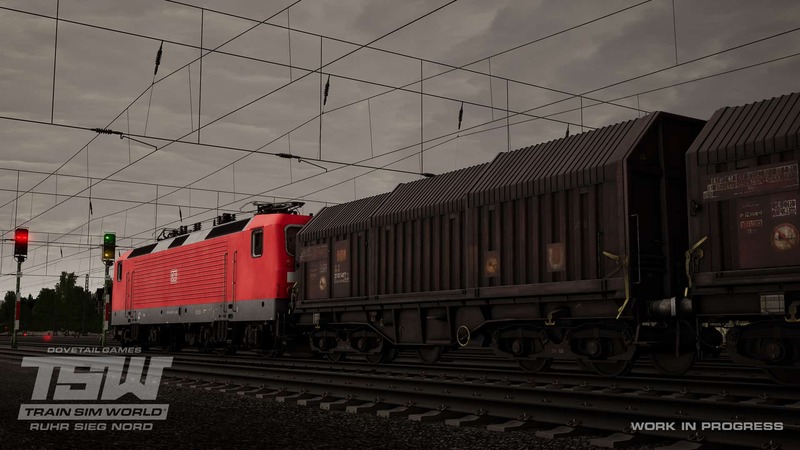 While impressive, it was not what the lines in East Germany required and was considered excessive – 120 km/h was the top limit on the newly electrified network and so the design was modified, taking it down to line speed, all while making minor aesthetic changes to the cab. The result was a new locomotive, the DR BR 243. An initial batch of 20 DR BR 243s was delivered in 1984 for use in East Germany, and over the following 4 years more and more batches would be ordered, each bigger than the last. By the end of the 1980s, there were around 500 in service across East Germany, and by the time the last one was built in 1991, there were 636 in total. 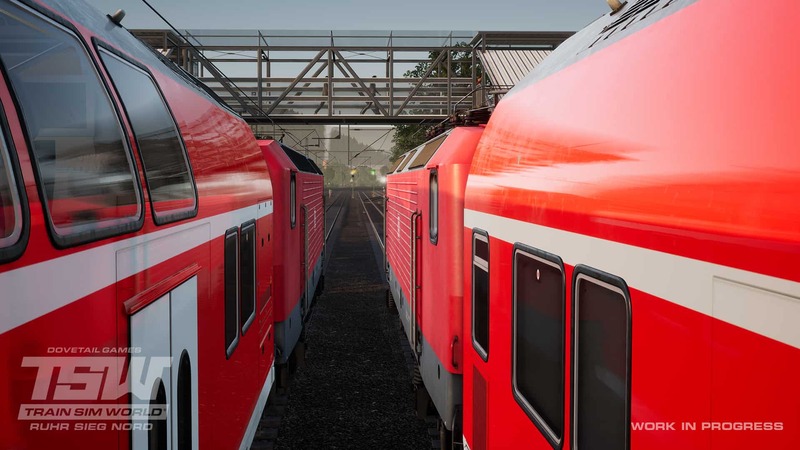 When the reunification of Germany took place, freight traffic saw a rapid decline in the former East Germany and many locomotives were put into storage. 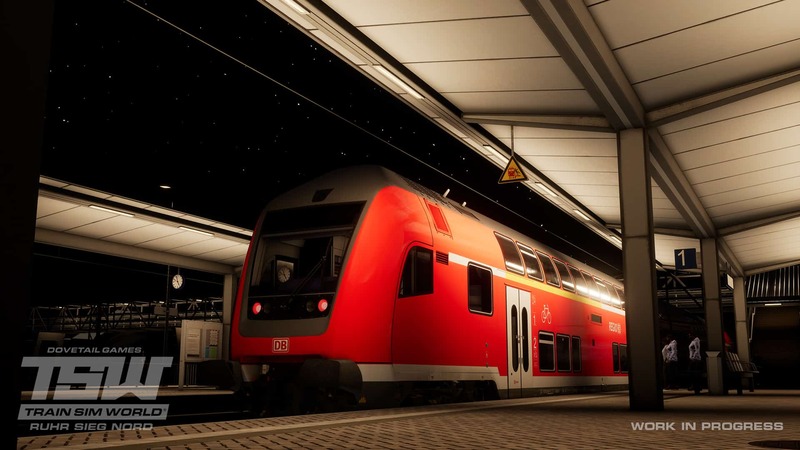 Others from the fleet began transferring to the former West Germany region, and soon, they could be seen all across the country. 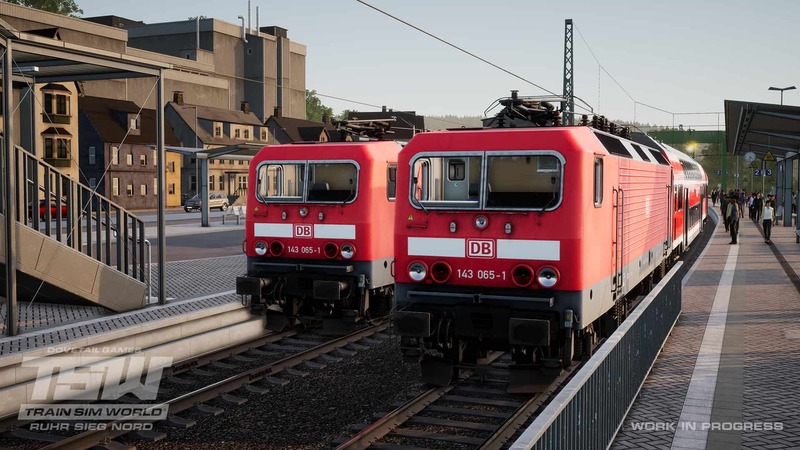 In 1994, the two railway companies from their former Germany’s merged to form Deutsche Bahn AG, and under their new classification system, the 243s became the DB BR 143s. Classic in design and versatile in nature, the DB BR 143s have always proven their worth on the railway lines suited to them, and a majority of them are still in active service to this day. 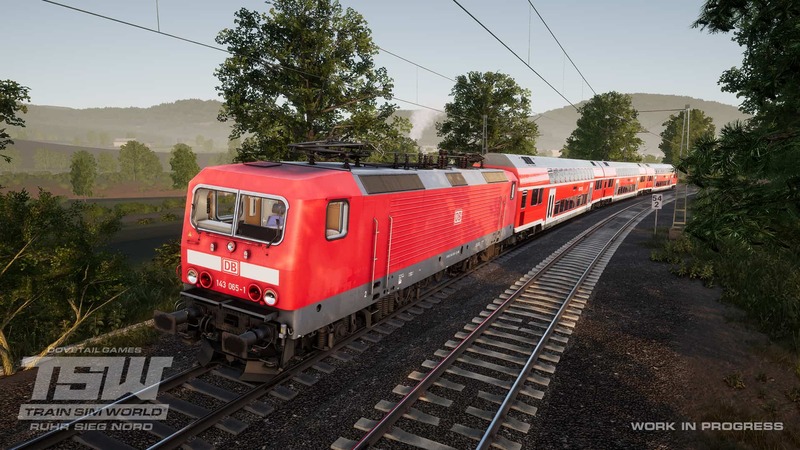 In Train Sim World: Ruhr Sieg Nord, the DB BR 143 is set to be the principal traction for passenger services twinned with Doppelstockwagen vehicles, including a cab car, and will complement the DB BR 185.2 on freight services. 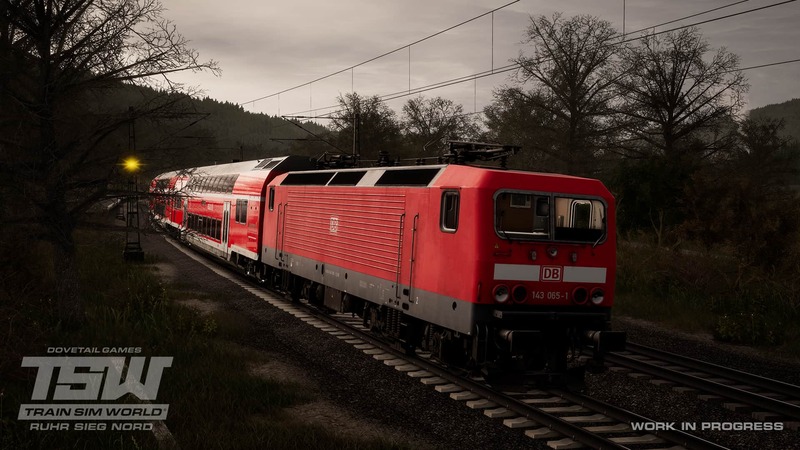 Whether you choose to take control from the locomotive itself or get pushed along in double-deck style, become a passenger aboard either deck or watch the traffic roll through, snapping shots as you check out each location, the DB BR 143 is a natural fit, and will sit alongside the DB BR 185.2 in Train Sim World: Ruhr Sieg Nord, coming soon!